At recent shows and events we’ve had a great reaction to our latest design, a Peaky Blinders inspired 1920s shirt. Currently we have two for you to choose from: a cotton blue and white stripe shirt, or a linen-mix shirt, with a narrow black stripe. 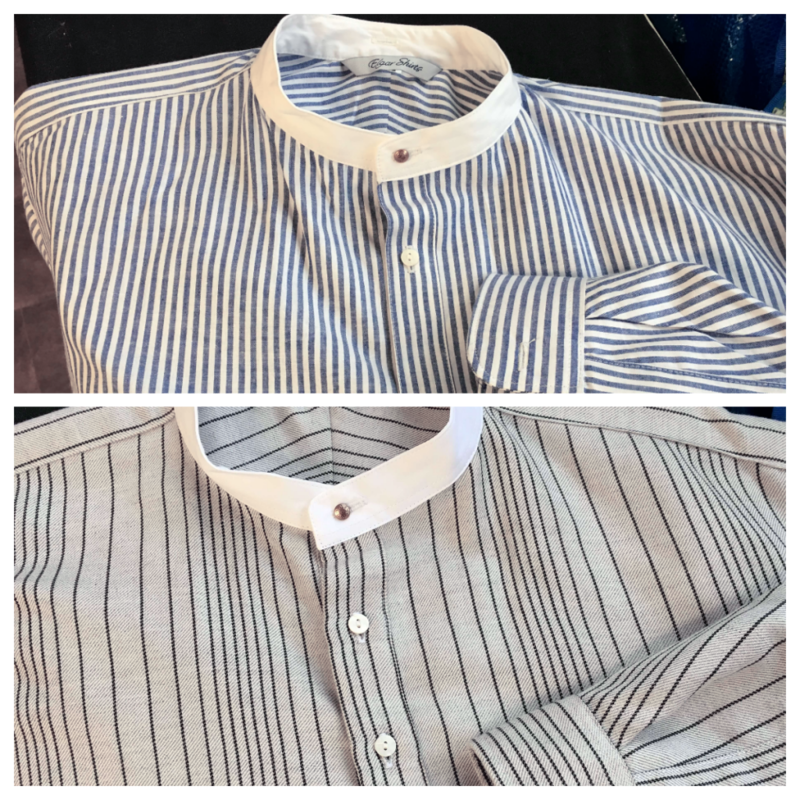 Fans of the hit TV show Peaky Blinders will recognise the style of these shirts, with white, starched detachable collars, which were popular around the 1920s when the show is set. We’ve designed our shirts with that in mind. We’ve given our shirts a vintage stud at the neckband so you too can wear a detachable collar, Peaky Blinders style. We don’t supply the stiff collars ourselves but if you’d like to buy one, or a full set, then we recommend Billings and Edmonds, or Darcy Clothing. These shirts are stylish and striking. A must for any fans of the series! We offer a full range of sizes, but as with all our products we can make custom orders and a particular size if you require. Please feel free to get in touch with any queries.